So in a couple days everything will be done and dusted. By Sunday, all that will be left to do is cook it, eat it and open it! I love Christmas. I always have, and I hope that I always will. Free alternatives that are available 'out there'. I hope that it's been of SOME help anyway. I'm signing off now until after the holidays so I wish you a very very Merry Christmas, or Happy Holiday, or however you like to phrase it :) ... In the mean time, see below for some christmas crafts, last minute gifts, festive recipes, ways to entertain children, some general holiday food allergy reading and of course, my favourite, a little bit of eye candy. Have a great one, don't drink and drive, don't eat too much and by all means STAY AWAY from your food allergens/intolerances.. it's never worth it! 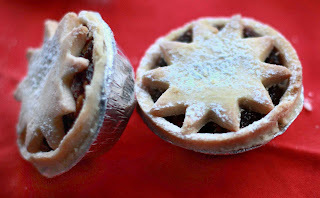 This is just a last minute post because my sister was given a gift of some 'Delicious Gourmet Foods Mince Pies'. 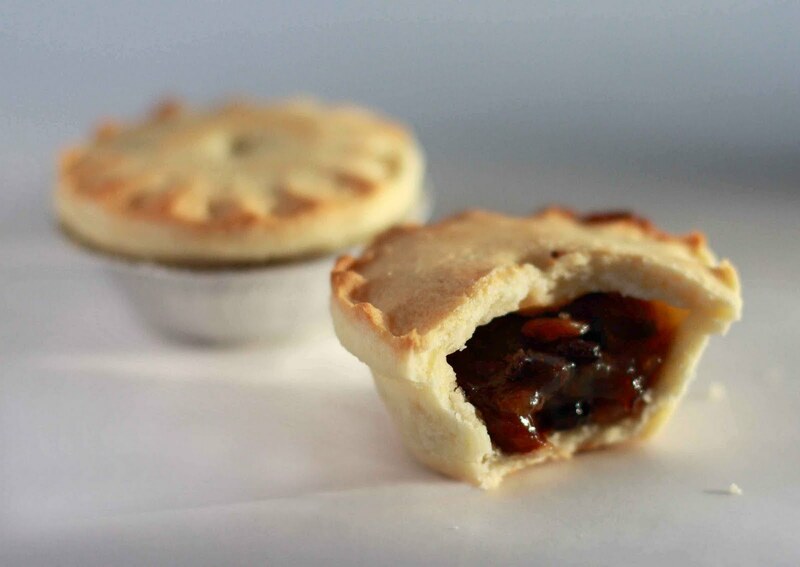 These little pies are obviously made in heaven because not only are they Gluten Free, Wheat Free, Dairy Free and Yeast Free but they come in a box of six and are ABSOLUTELY DELICIOUS! Myself and my Gluten and Wheat Free Mom were literally gob-smacked with the quality. The pastry is nothing less than AMAZING. It’s like a soft shortbread... no crispiness... no dryness... no ‘Gluten Free taste’... they were truly fabulous. Note that I am speaking in the past tense, because all 6 have already been devoured! Added bonus is that there is no Potato Flour in the Gluten Free mix. I don’t know what they cost being a gift and all, but they were bought in Fallon & Byrne... And I promise, even if you are not Gluten Free or Dairy Free or Anything Free these little babies are the bees knees. Allergy Advice: This product contains nuts. 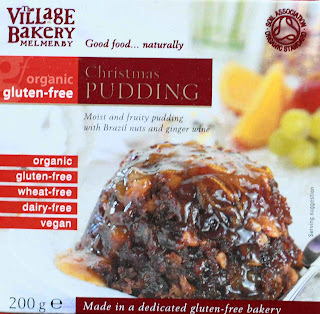 The ingredients used in this product are suitable for vegans; however, it is produced in a bakery which uses egg and mustard seeds as ingredients, so there is a slight possibility these allergens may be present. Very gooey, very sweet. 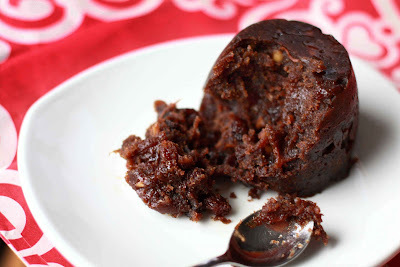 It’s fine in an average christmas pudding fashion but is nothing special. 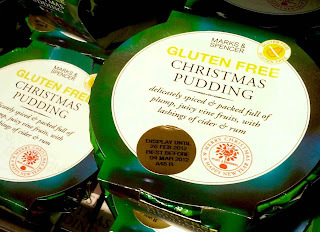 I think that most Christmas Puddings are naturally Dairy Free (and a lot of the smaller ones available in the stores are egg free) so it’s probably worth your while to check out all the different brands that tempt you. 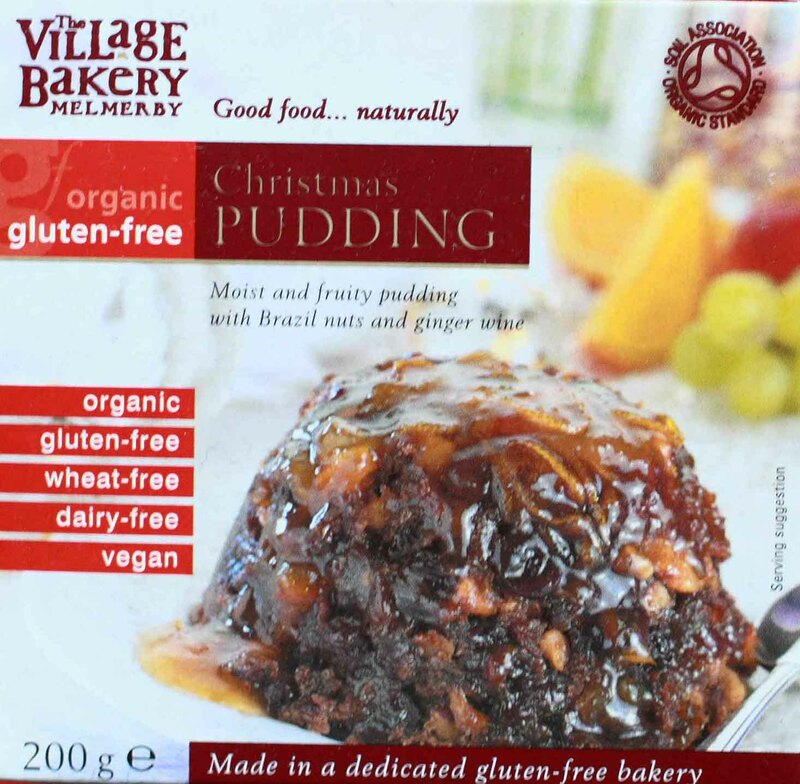 Superquinn’s red packaged pudding is definitely Dairy Free as well. 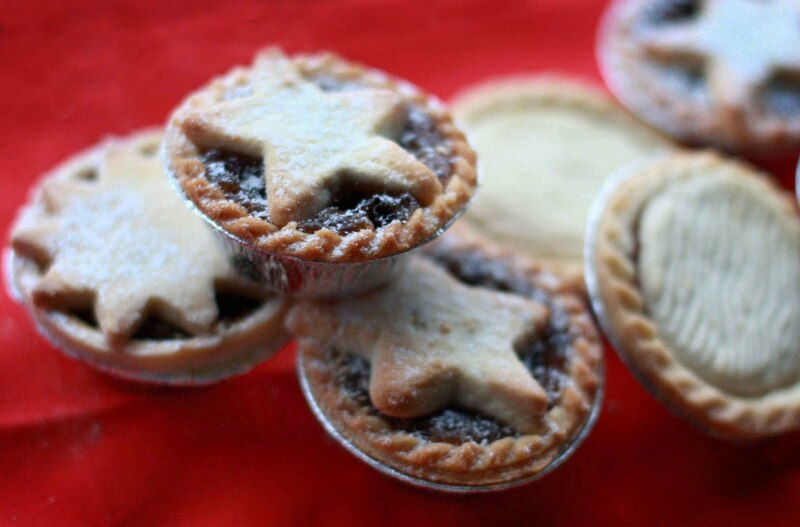 This day week we’ll be lying on our backs wishing that we hadn’t eaten so much the previous day ... but that's only because there are SO many wonderful allergy friendly foods on the market now, and thus, absolutely NO reason to go hungry at Christmas... but remember, pace yourself. Just because you’re not allergic or intolerant to it doesn’t mean that eating the whole box won’t make you feel sick! So, on the last 5-6 days before Christmas I thought it essential to do a cross reference of some of the Free From Allergy Friendly Mince Pies on the market this year. Of course, I couldn’t try ALL of them, but I hope what I did try will help you in your shopping and your Christmas feasting. Ingredients: Pastry: Gluten Free Flour (Rice, Potato, Tapioca, Maize & Buckwheat), 100% Vegetable Non-Hydrogenated Margarine, Sugar, Raising Agents (Mono Calcium Phosphate, Sodium Bicarbonate), Xanthan Gum. Mincemeat Filling (50%): Sultanas, Sugar, Apple, Raisins, Fresh Grated Carrot, Dates, Apricots, Mixed Citrus Peel, Currants, Glace Cherries, Vegetable Suet, Brandy, Irish Cider, Glucose Syrup, Mixed Nuts, Walnuts, Maize, Mixed Spice, Lemon Juice, Acidity Regulator: Acetic Acid, Plain Caramel, Orange Rind Oil, Lemon Rind Oil. Ingredients: Pastry: Wheat Flour, Vegetable Shortening [Palm and Rapeseed Oils], Vegetable Margarine [Palm and Rapeseed Oils, Water, Salt, Emulsifier (E475), Sugar, Water, Salt. Mincemeat Filling (35%): Sultanas, Acetic Bramley Apple Pulp (Bramley Apple, Acetic Acid), Sugar, Glucose Syrup, Candied Orange and Lemon Peel [Contains Glucose-Fructose Syrup, Sugar, Acidity Regulator (E330), Preservatives (E220)], Vegetable Suet (Vegetable Oil, Rice Flour), Water, Modified Maize Starch, Mixed Spice (Coriander, Cinnamon, Ginger, Nutmeg, Caraway, Cloves), Raisins, Colour (E150a), Orange Oil. Contains: Wheat, Gluten, Sulphites. May contain traces of nuts, milk, eggs or soya. At first bite all I can taste is that ever-familiar ‘meat substitute flavour’ that we all know so well but after a couple more bites I found myself enjoying it quite a lot and wanting more. I had it on warm toast which was perfect but I imagine that crackers would be nice too... or the new Ryvita Thins which taste addictively good but unfortunately neither the thins or the Beanfeast Paté is Gluten, Wheat or Sugar free. Gluten Free, Wheat Free, Dairy Free Rich & Fruity Cider Cake Anyone? It’s great to see the company expanding so much and its even better for the Free From community because their products are top notch. The Foods of Athenry’s ‘Rich & Fruity Cider Cake’ is the perfect christmas treat and stands in (for me) as a marizpan and icing free christmas cake. 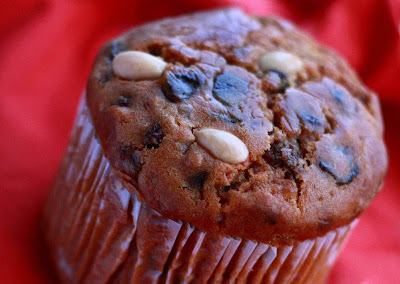 It’s moist, fruity and makes me want more! It comes in a 450g shrink wrapped round size that looks like a giant muffin. So, do buy it but save it until exactly the time you want to eat it and if you can’t eat all 450g maybe try immediately wrapping the remainder tightly in cling film until you need a pinch of magic again! The cake is about €8.99 or there about which seems a bit steep for the size of it but it’s actually quite tasty and larger than it looks. 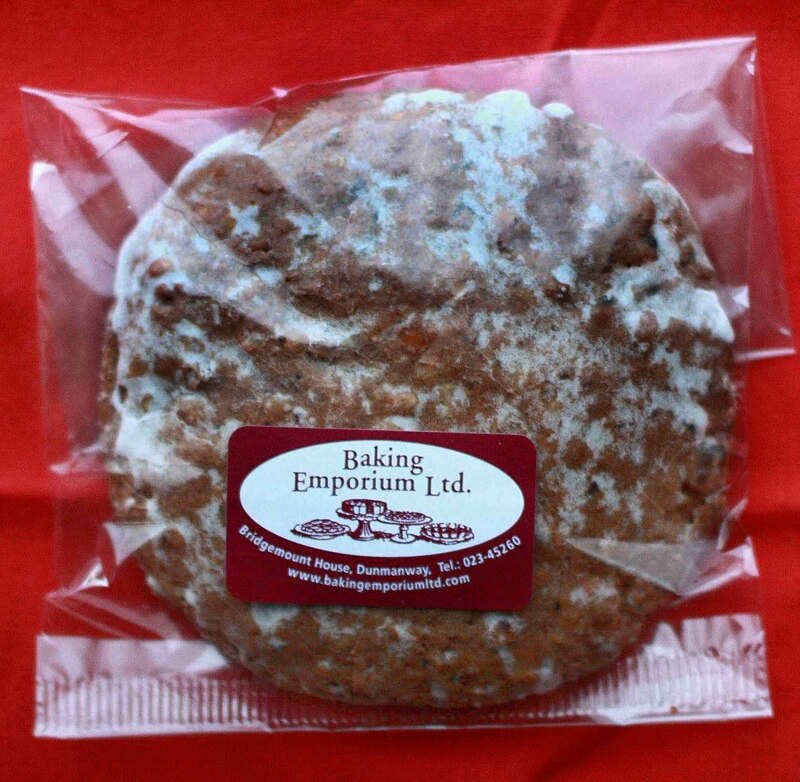 A Delicious (Naturally Dairy Free) Elisen-Lebkuchen - The Perfect Christmas Treat! 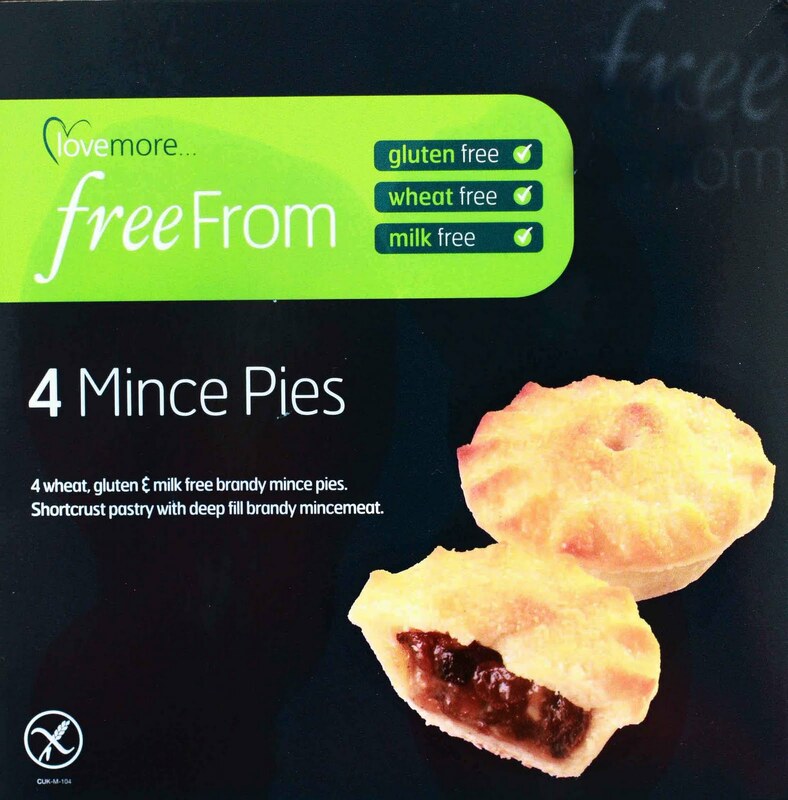 Today it’s a naturally Dairy Free treat (note: has a MAY contain milk warning) that is so wonderful that I want one for each of the 12 days of Christmas plus a whole stocking full on the day! Baking Emporium’s Elisen-Lebkuchen, which I found in Rathmine’s The Hopsack are the special something. When it comes to Christmas the Germans have it covered and oh my, does this Elisen-Lebuchen ever prove the point (note: germans have been making Lebkuchen since the 13th century!)! 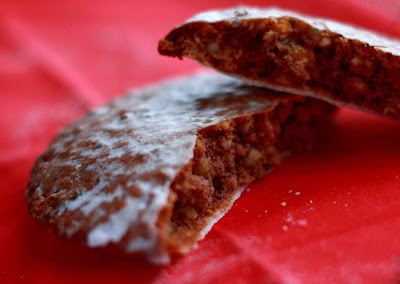 It’s like a big soft gingerbread filled with finely chopped nuts but without the actual ‘ginger’. 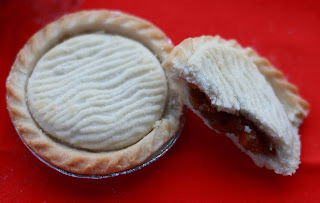 It has a light sweetness (despite the amount of sugar in the ingredients) which is a great change from the saturated overload of most christmas sweets and is a truly welcome subtle sweet after all of the free from mince pies that I have been taste testing for my soon to come mince pie spectacular. Extra note: although there in marzipan in the ingredients I dont think that marzipan haters would object... but then, i’m not sure how their tastebuds work cause I’m a lover! Gossip & Gatherings: Loads of ‘Free From’ News That'll Definitely Interest You! A new Wheat Free and Gluten Free bread, BFree, launched December 5th in Dunnes Stores nationwide (on the mainstream bread aisles) shortly following a POP UP shop in Dublin’s City Centre (23-24 Duke St) which will remain open during the weeks leading up to Christmas for promotion. 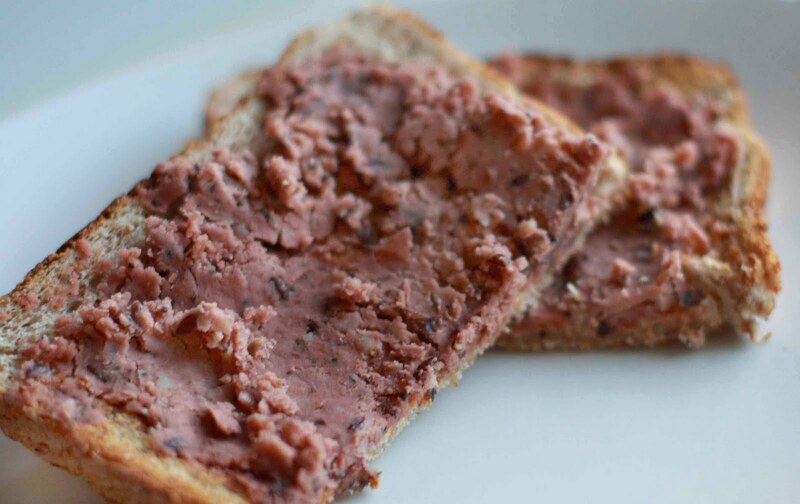 BFree is an Irish company and is the brain child of Cuisine de France’s founder, Ronan McNamee, who has been developing the recipe for almost 3 years until it tasted just like wheat based products. Ronan also solicited the help of Prof. Dr. Elke K. Arendt to optimise the nutritional composition. - Independent research carried out Summer 2011, assessed BFree and its closest competitor products, and marked BFree the winner in terms of taste and nutritional values. - At only 71 calories per slice, High in Fibre and Low in Fat, BFree bread is one of the healthiest in the bread market world wide including wheat-based breads. But I'll review it shortly and get all the ingredients and free from attributes out to you as soon as possible! And just to stress HOW good Petite Treats’ baked goods are... M. who is vegan, has got into the habit of ordering petite treats and sharing the surplus with her husband’s office... Her husband’s office, which are all gaming computer boys who are free from NOTHING like Petite treats SO much that they have started a weekly order, I kid you not. So don’t let ANYONE tell you that Free From Food has to be a lesser stuff. A new Free From Food Allergy and Restricted Diet Directory is coming to town!! I’m Ohhh so excited! If you’ve ever trailed the web looking for a blog on your chosen topic you have probably come across various types of Directories (the I Eat Everything Foodies have a few of them) but the great news is that a few free from girls, Lucy, Amy, Amy & Gemma, got it together and have decided to launch their very own Free From Blog Directory! ...Life just got soooo much easier. Juice is gone! I was walking down Georges’s Street when my friend S. asked me if I had seen Juice lately...I looked up and my jaw dropped! Juice is no longer... and it’s replacement isn’t even vegetarian! ... However... S. tells me that the buzz on the boards is that there is a 100% VEGAN restaurant opening somewhere in Dublin’s City Centre in the new year!!! (early 2012) ... now, these are rumours and gossip is never a good thing but if we all put our positive thoughts together maybe it will really happen!!! And that’s it... That’s all I’ve got! 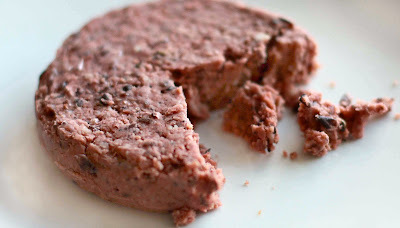 An Easy Dairy Free Appetizer - Great for Seasonal Celebrations! A reader told me about these little cheesy bites not so long ago and since then I have been on a mission to find them. She gets them in Nourish in Santry but happily, I found mine in Nourish on Liffey St (€3.90 for a pack of 8) so the big trek was avoided! They are a Vegideli product, which is a sister product to Cheezly Dairy Free Cheese. They are an imitation of deep fried cheese, or something similar and are based with Cheezly cheddar 'cheese' made with Soya. 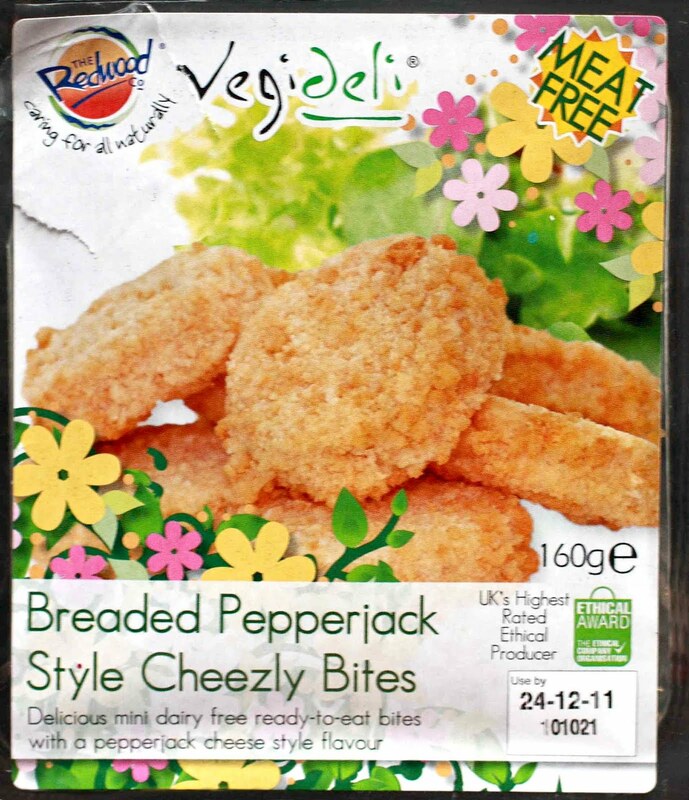 The ‘Cheezly’ taste is still there when eaten cold/room temperature, but the consistency is softer, there is a real peppery hit and they taste significantly better than the original ‘cheezly’ block due to the light breading. They can be eaten as is, or they can be heated through. The package recommends frying or grilling. I have tried them cold, at room temperature and fried. Room temperature tastes nice but the best, in my opinion, is to fry them with minimal oil and then eat them when they are slightly cooled and can hold their shape. 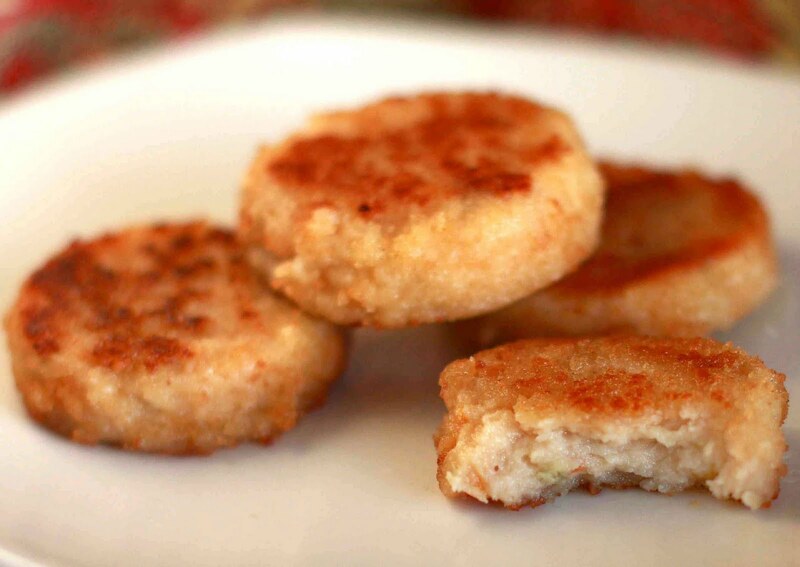 This is when they taste best and are most like the cheesy bites they aspire to. 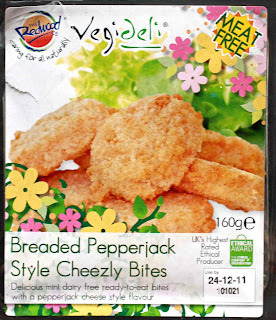 The bad news is that they contain Wheat, Soya and Potato which limits the food allergy free attributes but if you’re stuck for a quick nibble during the upcoming festive season or are continually searching for a way to include your Dairy Free or Vegan guest in the snacks then I think Vegideli’s Breaded Pepperjack Style Cheezly Bites will pass the test. Nov 4: Toasted Banana Sandwich: Best Allergy Free Snack, Ever! A Petite Treats Charity Coffee Morning: Dec 8!! 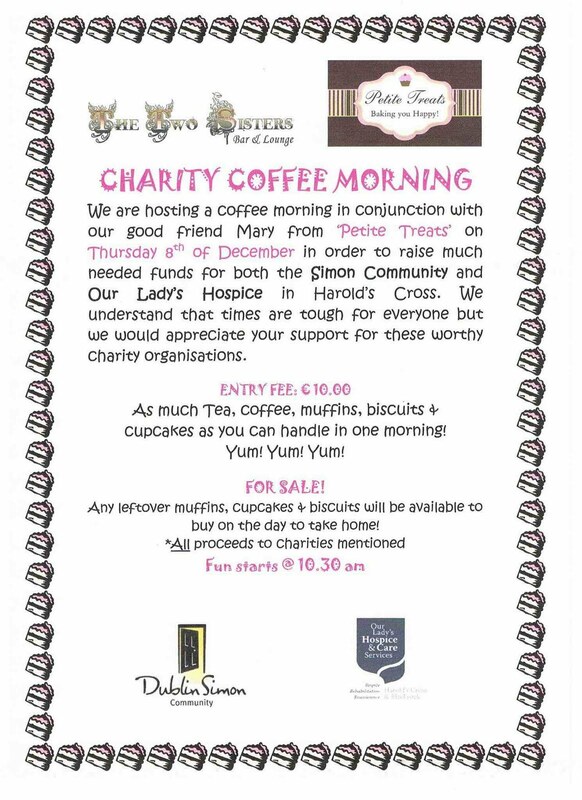 I received a most exciting email from the very talented Mary at ‘Petite Treats’ telling me about a fabulous Christmas Coffee Morning she is hosting along with ‘The Two Sisters Bar & Lounge’ in aid of the Dublin Simon Community and Our Lady’s Hospice (which I’m sure you’ll agree are two very worthy causes). And believe me, this is not just any coffee morning - This is THE coffee morning to attend! ...and to top it all off, most of Petite Treats’ AMAZING treats are Soy Free (!!!) and there will even be Gluten Free treats for the coeliacs and the GF’s among us! :) :) ...now, can you honestly tell me that that is not worth coming down to Terenure for? Call in sick to work, get a train to Dublin, sell a kidney... do whatever you have to do to come come come!!! · When - Thursday, December 8th 10.30-12.30. · Where – Two Sisters Pub 2-6 Wainsfort Drive Dublin 6W Terenure. · How much - Entry costs €10 and you get as much tea, coffee, cupcakes, cakes, cookies and truffles as you can handle! There will be additional boxes available for donations also. If you don’t know who or what Petite Treats are and you missed my past raving (which you can see here) then you have GOT to get down to The Two Sisters Bar & Lounge on December 8th because I promise, your Allergy Free world will never be the same again! ...I have honestly never tasted anything as good as Mary’s Toasted Coconut Cupcakes except maybe her Belgian Dark Chocolate cupcakes...They’re so good that I have actually questioned them being vegan! So put it in your diary now! this minute! The Easter Bunny can lay Dairy Free, Soya Free & Gluten Free Eggs! 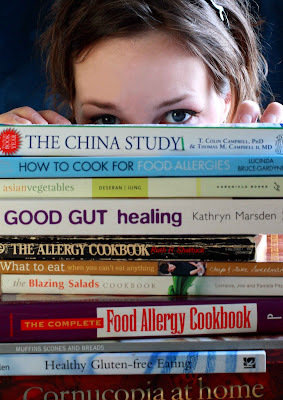 The 2012 Free From Food Awards Shortlist is Released!